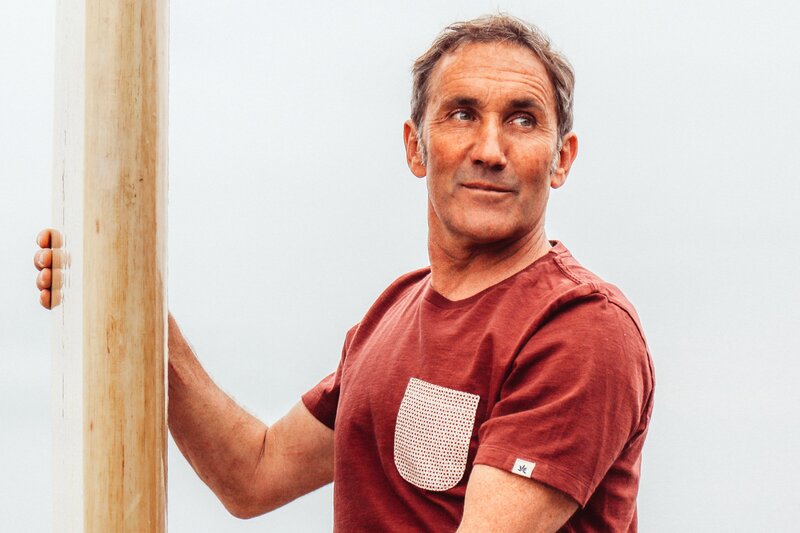 Pilou is a local surfer from Guethary and a respected big wave surfer. Parlementia, Avalanche, Belhara, Mavericks, and more recently Nazare are his common playground. Pilou is also a passionate gardener working all around Guethary. Like all our ambassadors, he loves sharing his passion with everybody in a very simple and authentic way. The young 53 years old Pilou is perfectly fitted for our passionate team of ambassadors.&nbsp;Thanks&nbsp;Pilou.